Basic principles of good donor relations focus around consistent and meaningful contact – this means sharing your successes, involving the donor in your activities, and reporting honestly and regularly. Each relationship will be different and require different management, but if you follow the approach of seeing your donors as partners in development, you should be on the right track. 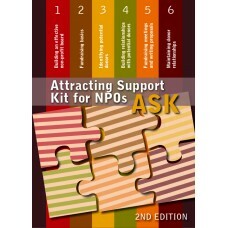 Use these questions to evaluate if your NPO is keeping your donors loyal to your organisation – where your answer is ‘No’ to any of these questions, see this as something you can improve on. Do you write thank you letters for every donation? Do you just change the words in your thank you letters for repeat donors? Do you send your letters out within 24 hours? Do you issue a formal receipt and section 18A tax certificate (if appropriate)? Do you report to your donors on your activities? Do you provide your donor with a financial report? When you send the report, do you indicate how important they have been to your organisation? Do you ever send your donor letters of appreciation from your beneficiaries? Do any members of staff ever thank the donor for their contribution? Do you produce an annual report? Do you have a list of donors in the annual report? Do you publish a newsletter about your activities and your donors to mail to your donors? Do you let your donors know about changes in your organisation, including changes in leadership? Do you let your donors know about problems you are experiencing? Do you invite donors to visit or participate in your activities? Do you ever send donors your news via email or through video material? Do you ever hold events to recognise your donor’s contribution? Do you ever issue certificates of appreciation to your donors? Do you ever nominate your donors for awards? “No practice is more important in the development process than stewardship, the continued involvement, cultivation, and care of those who give. 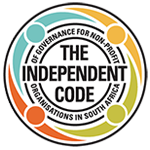 This toolkit is available for purchase via the Inyathelo Online Store. Click here to purchase a copy. NextWhy report to donors on how money was used?